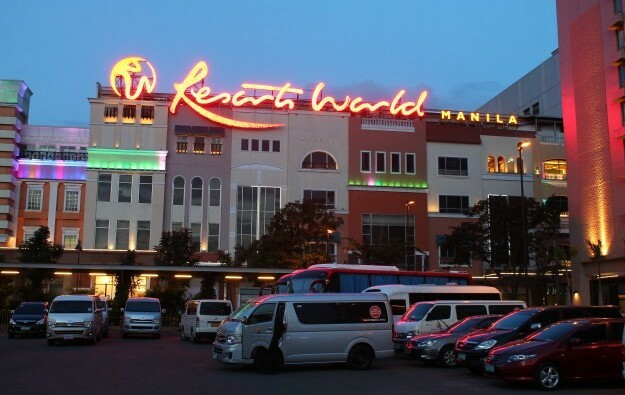 The operator of the Resorts World Manila casino complex (pictured) in the Philippine capital says the entertainment areas of the property are likely to resume operations on June 15. Several areas of the property have been closed since a deadly attack on June 2 that left at least 36 people dead. The areas set to reopen tomorrow include the shopping mall, the cinema and the 1,500-seat Newport Performing Arts Theatre, Travellers International Hotel Group Inc said in a filing on Wednesday. On Friday, the country’s casino regulator, the Philippine Amusement and Gaming Corp (Pagcor), ordered the suspension of Travellers International’s gaming licence pending an investigation into the incident. Travellers International said Wednesday’s filing was in reply to the Philippine Stock Exchange’s enquiry about the “possible business, operation and financial effects” of the June 2 incident and the suspension of the firm’s gaming licence. The company said in Wednesday’s filing that “it is premature at this point to assess the full impact” of the recent events. Travellers International said that a few non-gaming areas of Resorts World Manila had not been affected by the recent events. “The Remington Hotel, Star Cruises Centre, Marriott Hotel and Marriott Grand Ballroom continue to be fully operational,” the firm said. “The company shall inform the [Philippine Stock] Exchange as soon as the assessment of the impact of the … events is completed,” it added. The company had said on Tuesday that it would make every effort to preserve its right to a gaming licence. Travellers International is a venture between local conglomerate Alliance Global Group Inc and casino cruise specialist Genting Hong Kong Ltd.